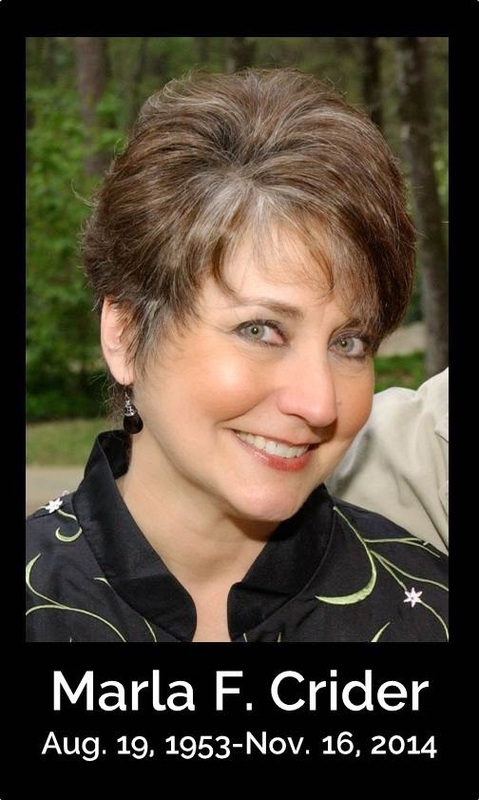 This blog documents the journey of Marla Crider, a 60 year-old travel professional from Little Rock, Arkansas, as she battles a breast cancer called invasive ductal carcinoma (stage 3). From the moment of her diagnosis, she chronicles her experience. Be forewarned this blog may provide a raw glimpse into the author’s psyche and ability to deal with a life threatening challenge. Hopefully, her honesty and humor will provide advice and help to others who find themselves in a crusade of their own. Finally, the day had arrived for “the plan” to be implemented. For the past 28 days, I had been on a roller-coaster ride that has, at times, been difficult to describe. From the initial diagnosis on May 1 to this day, I had become mentally and emotionally exhausted, yet prepared for the treatment and whatever might come with it. Rather than wasting time at home that morning watching the clock tick towards my noon appointment and obsessing about how much time I might have left with Miss Fluffy, I made the decision to go to work. It was normalcy and my usual routine that I needed and the Department of Parks and Tourism was where I would find it. After pushing papers all morning and accomplishing more than I thought I could or would, it was finally time for me to depart for UAMS. As I walked out the door, I could hear sentiments of “good luck” being expressed by my colleagues. It was a comforting way to start the process. My appointment with Dr. Makhoul was scheduled for 1:00 p.m., when he would provide the results of the PET scan, check my vitals and write the prescription for the chemical concoction that was going to put me on the road to recovery. Prior to meeting with the doctor, I was instructed to report to the Infusion Center on the first floor of the WPR Cancer Institute at noon for a blood draw to establish a baseline. When I arrived, I was escorted to a recliner, where I observed several people receiving intravenous chemotherapy. Some were asleep; some were wrapped in blankets and others were watching the new girl who just walked in – me. A lovely and friendly RN quickly came to the chair and told me she would be drawing blood for a couple of tests that Dr. Mak had ordered. She wanted to know if I had a port and I proudly showed her my battered collarbone area, where Dr. McDreamy and Nurse Vin Diesel had their way with me days earlier. She noted that the port still looked a little tender and a numbing cream containing Lidocaine might be in order. She explained that it would lessen the stick and pressure of the infusion needle and made arrangements for me to pick up a prescription at the outpatient pharmacy, located next door. In the meantime, I watched her thump the veins on both arms trying to find one that could withstand yet another blood draw. I told her that a vein finder might be in order. She didn’t miss a beat and told me she would take the blood from a vein on the side of my wrist. I never felt the sting of the needle. This girl knew what she was doing. After the blood draw, I reported back upstairs to Dr. Makhoul’s office, where Brenda, his seasoned and knowledgeable nurse (and my new best friend), began reviewing a lot of details with Don and me about what I/we might expect after my first chemo treatment. Then, Dr. Makhoul arrived with a female intern (darn it) and began going over my test results from the previous week. He reported that the heart scan was normal. For a person with my family history of diabetes and heart issues, the news was good – really good. When Dr. Mak tried to pull up the PET scan report, it had not been posted to my online record yet. After waiting over the long, holiday weekend to learn if the cancer was in the right breast only, I was deflated and disappointed that I was still not going to know anything for sure. Seeing the frustration on my face, Dr. Makhoul told me the lack of PET scan results wouldn’t change his treatment plan, but I could tell Dr Mak was curious about the results, as well. He retreated to a different computer and pulled up the raw scan; he returned with a semi-good report. He said the right breast was glowing brightly on the scan, which we expected. Of concern was an area in my colon that looked inflamed, even suspicious. That was certainly not what I expected to hear. Determined that the cancer cells were NOT going to meander their way to other parts of my body, I reminded Dr. Makhoul that I had been diagnosed years earlier with irritable bowel syndrome (IBS), an annoying affliction that flares up when I’m stressed or emotionally upset. Duh!!! Needless to say, I had experienced a reoccurrence beginning the day I heard the “C” word. I shared my medical assumption with Dr. Mak, but he wouldn’t confirm that my explanation was what he was seeing on the PET scan. We were going to have to wait for the final scan diagnosis but, until then, would continue with the chemo treatment as originally planned. Dr. Makhoul advised me that when I reported for treatment in the Infusion Center in less than an hour, I would be given oral, anti-nausea medications before and immediately after the infusion and would take additional meds home with me. With most of my questions answered, I took the apprehensive walk back downstairs accompanied by my loving entourage comprised of Don, Brother Mike and sister-in-law, Barbara. We were three hours into my first treatment experience and they were determined to stay with me for the duration. Before arriving at the Infusion Center, I stopped by the outpatient pharmacy, picked up the numbing cream and quickly applied it to my blue and yellow port site in anticipation of what was to come. I signed in at the reception desk and waited for my name to be called. Even at 3:00 in the afternoon, the waiting room was full of cancer patients and their families. Some were older and in wheelchairs, and sadly, others were much younger than me. Hair loss was something that had been discussed with Dr. Mak. He said almost like clock work, the hair falls out on day 13 after the first treatment, but not everyone responds the same. As a woman who has always taken pride in her thick, full-bodied mane, I wasn’t sure how I was going to emotionally respond to this particular side effect of the chemo. I decided to argue with Mr. Nurse Ratched. I reminded him that 10% of people don’t lose their hair per Dr. Makhoul. “Uh-huh,” he said, as he pressed the infusion needle into my numb port site. “Maybe you will be one of the lucky ones.” Don sat next to me and listened patiently to my mindless banter with Mr. Nurse Ratched. It helped calm my nerves as I watched the red, hair-follicle-killer – adriamycin cytoxin - make its way into my body. About that time, an attractive black woman walked in with her mate and sat in the recliner across from me. I could tell this wasn’t her first rodeo. She settled into the recliner, covered up with a blanket and waited for the nurse to hook her up to the meds. Noticing her thick hair, I decided to ask her how many treatments she had received. She held up five fingers. “But you still have your hair,” I marveled. She told me it had thinned but was still intact. When Mr. Nurse Ratched stopped by to change out the empty, red chemo bag for the bigger, clear one, I pointed at the black lady across from me and told him she hadn’t lost her hair. He just smiled. This had become a game between Mr. Nurse Ratched and me. We had finally bonded. When the last chemo bag was empty, my nurse removed the infusion needle, loaded me down with four bottles of pills and told me to report back the following day for a Neulasta injection. The purpose of the shot was to stimulate the bone marrow to make additional white blood cells and help fight potential infections. Mr. Nurse Ratched warned me that the side effects could cause pain in the leg bones, spine, and pelvis area. He said a prescription for pain was waiting for me at the outpatient pharmacy. As I gathered my bag full of reading materials and medications, Mr. Nurse Ratched patted me on the back and reassured me that I was going to be fine…with or without hair. When we arrived home, Don and Mike asked how I was feeling. Other than being mentally and physically exhausted from a full afternoon of medical procedures, I was feeling surprisingly good. I took another dose of the anti-nausea pills encouraged by Dr. Mak. He cautioned me not to be a martyr and try to handle the chemo treatments without the aid of the various meds he had prescribed, which is good advice for anyone going through chemo. It had been a long day, but I finally had the first treatment behind me. Now, all I/we could do was wait and see how my body was going to react to the chemo. I was ready for sleep and whatever the late night hours or tomorrow might bring. Thank you for commenting on my blog. I'm very busy now (as you might imagine), so please know that I will get to your comment as soon as I can. Treatment Two - Good News and Great News! Invasive Ductal Carcinoma: What is it? Invasive ductal carcinoma (IDC) is the most common form of invasive breast cancer. It accounts for 80% of breast cancer incidence upon diagnosis, according to statistics from the U.S. in 2004. On a mammogram, it is usually visualized as a mass with fine spikes radiating from the edges. On physical examination, the lump usually feels much harder or firmer than benign breast lesions such as fibroadenoma. On microscopic examination, the cancerous cells invade and replace the surrounding normal tissues. Breast tissue is composed of fatty (nondense) tissue and connective (dense) tissue. 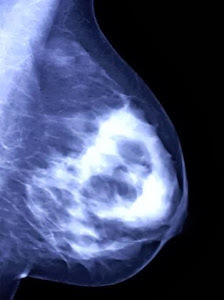 Radiologists use a grading system to describe the density of breast tissue based on the proportion of fat to connective tissue. There are four levels of density that are detected by mammograms: Level 1 (a very fatty breast), level 2 (fatty tissue makes up more than 50 percent of breast), level 3 (dense tissue makes up more than 50 percent of the breast) and level 4 (a very dense breast with very little fat). Click the image above for more information from the Mayo Clinic. 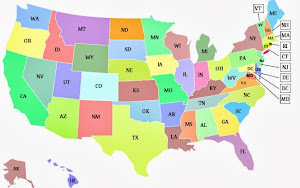 Click map to find a screening site near you. All original content copyright (c) 2013, Marla F. Crider and marlacrider.com. You are free to share (copy, distribute and transmit) content from this site with attribution to marlacrider.com.